Axiom conducts surveys for identification, quantification, and hazard assessment of painted surfaces in buildings (or specific renovation areas) including testing of paints for lead content. The scope and detail of the lead survey will be developed to ensure regulatory compliance and the safety of occupants/employees. Long term and project-specific regulatory compliance will require a maintenance or management plan. 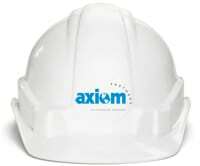 Axiom assists our clients with understanding and complying with the federal OSHA regulation for Lead in Construction. Additionally, Axiom will assist contractors with lead exposure determinations based on the types, locations and quantities of lead-containing paints in a building or structure. Initial exposure assessments, development of work practices and engineering controls suitable to the project are performed. Axiom performs on-site monitoring and oversight services during lead removal work or during other construction activities that are expected to impact lead-containing paints and cause potential employee exposure to lead. On large scale projects,Axiom often provides continuous monitoring and observation of the abatement work. Where renovation and demolition projects may disturb lead-containing paints, worker exposure assessments can be performed for construction (e.g. demolition, painting, plumbing). Specifications and drawings can be provided for projects where the presence of lead in paint is significant and removal/abatement is required. Compliance with federal, state, and local regulations in public housing, as well as regulatory compliance in schools and commercial buildings is specified to ensure the success of the project. Axiom is accustomed to incorporating our design documents into the Architect’s overall project design package.